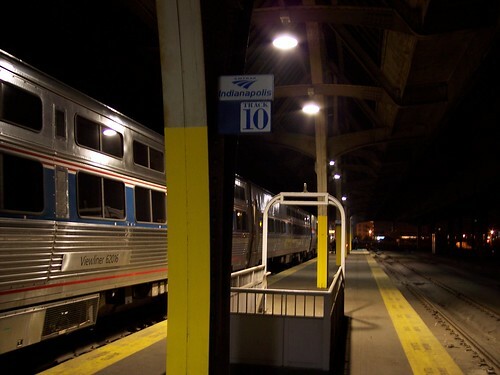 The eastbound Cardinal making its late night stop at Indianapolis. It took me a few minutes to realize that these corrals on the platform were once stairwells. 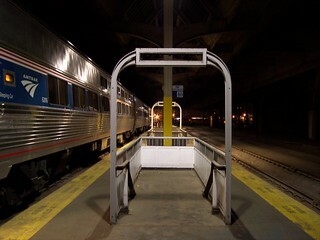 Notice the old handrails run right into the concrete floor.